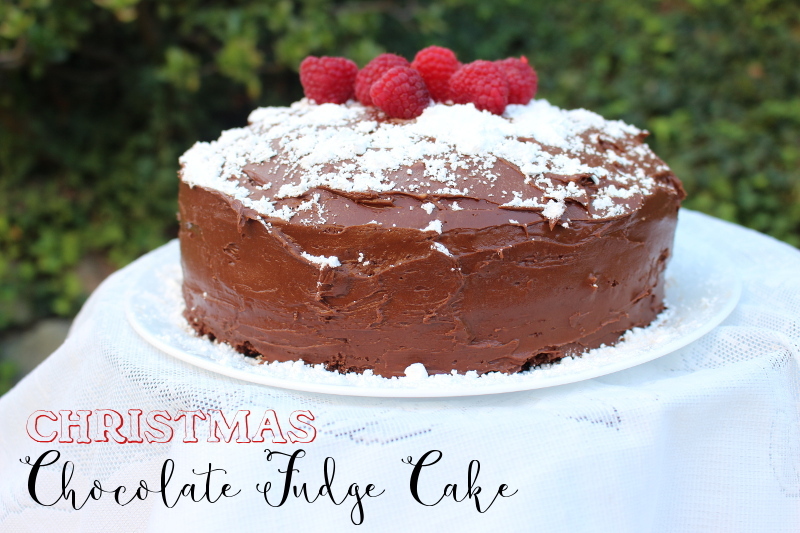 Here is my version of chocolate fudge cake all dressed up for Christmas! I’m so excited Christmas season is just about here and this cake is SO good and easy to dress up for Christmas. 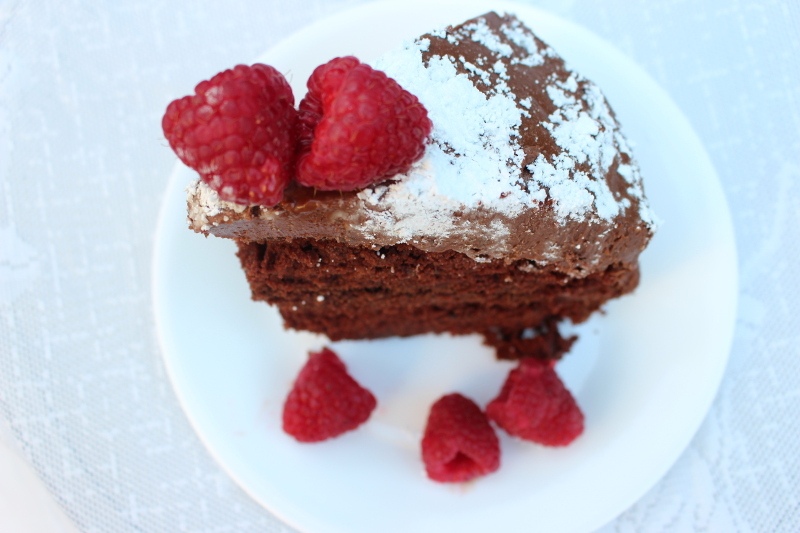 Chocolate cake is one of my favorite desserts during winter because it is rich and flavorful, it truly compliments many meals during the winter season. I made this cake with my original chocolate cake and fudge frosting recipe I posted on awhile back here. 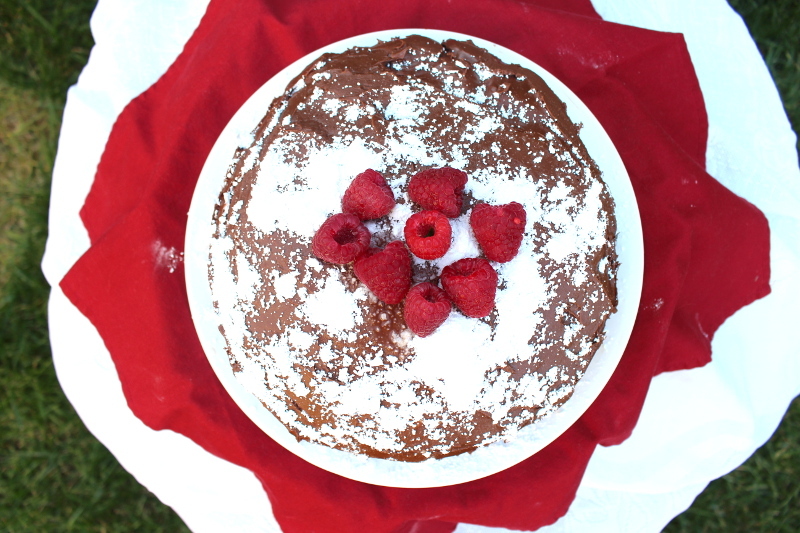 To make the cake take on a truly Christmas holiday look I added sifted powdered sugar as snow sprinkled over the top of the cake (refrigerated cake, it needs to be cool so the icing won’t melt) and raspberries in a simple circular shape on the very top. 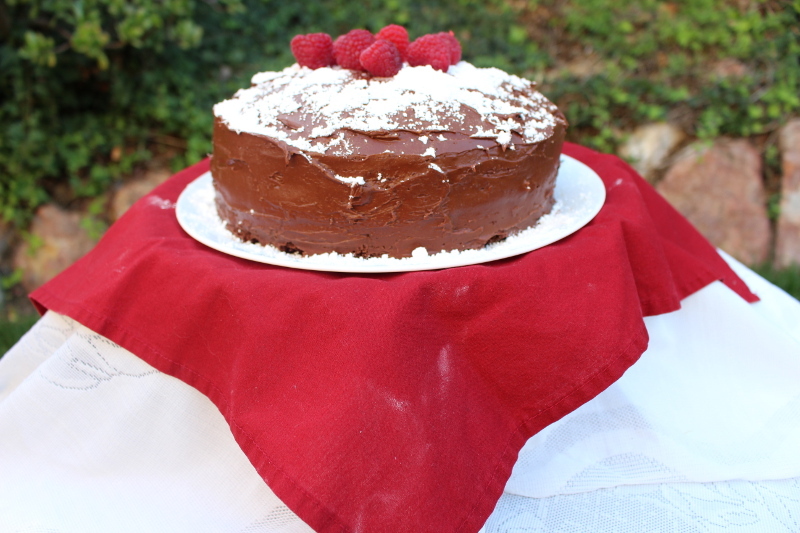 This extra little step makes the cake gorgous for a work function or family gathering. 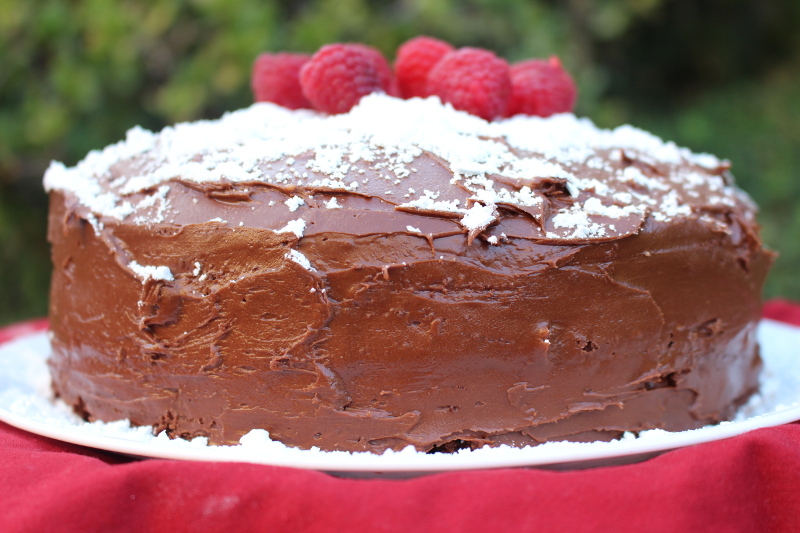 One thing I learned decorating this cake is to add the topping right before serving because if you leave it for too many hours the powdered sugar will begin to drift away and be absorbed into the fudge frosting. Ideal decor time would be about an hour before serving, though it can hold up for at least three hours. 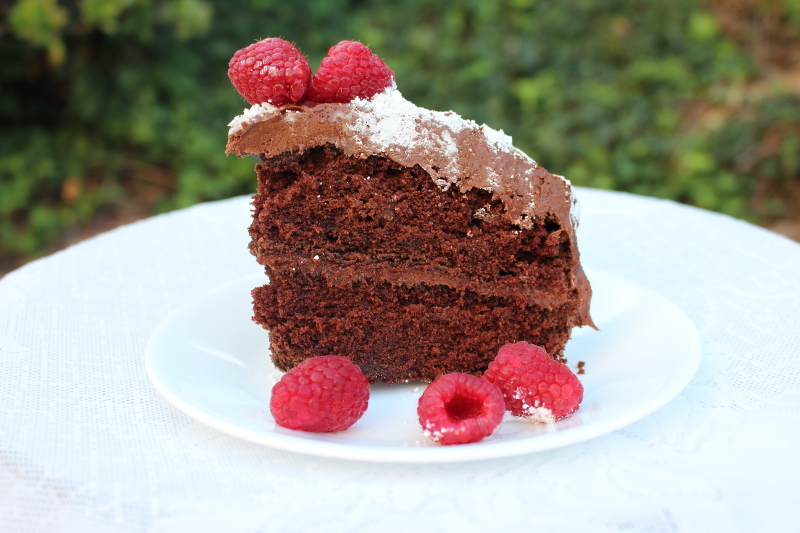 If you like chocolate cake you will love this rich recipe. Happy Christmas season!